New York City (NYC) is one of the liveliest metropolitan cities of the world. many successful businesses and designers are housed here. it is very globalized and hip. There is no dearth of places to see and visit in the city. But there are some things to be considered before you plan a trip there. First, pick the season you prefer visiting NYC in. Winter is really the best time to take a trip there. The holiday season is in full swing and you can catch the Christmas tree in the Rockefeller Centre. It is the attraction of the season. NYC is a mecca for those who crave designer gear. If you are a shopper this is great time because of the seasonal discounts. Summer has many events happening that are free like concerts and movies in the Bryant Park, Lincoln Centre, and Central Park. You can take advantage of the beach as well. There are movies played for free in outdoor screens as well. But this stands good only if you are prepares to brave the heat. Fall is good too, but you will not find deals in this season. NYC has hotels to suit every budget. The best among them is the well-known Plaza hotel, a landmark of sorts. The Roosevelt and the Sofitel are other popular choices. Budget hotels and hostels are also available abundantly. 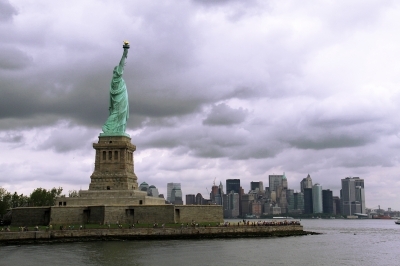 The Statue of Liberty and the State Empire building are the topmost tourist attractions. You can get to the Statue by taking a ferry. You need to get the schedule well before in time so that you are not stranded. If you are with your family, you can try out the museums, zoos and aquarium in the city. There is the Bronx Zoo, the Central Zoo, and the Tisch Children’s Zoo, among others. The New York Aquarium has over 8000 species on display. Among museums are the Ellis Island Immigration Museum, Metropolitan Museum of Art, and the American Museum of Natural History. The NYC Subway is the best and fastest mode of transport. You will find entrances to the stations at the corner of most streets. A Metro card will help you travel. They are as busy as the trains and buses in any major city. So get a map and be careful about the routes. Also be mindful of the direction of the trains. The good thing about the subway is that the maps are near the entrance itself. So you can just take a glance and know whether this train will take you to your destination. 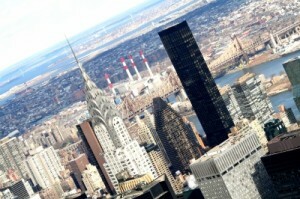 NYC offers some varied and exciting options in dining. Food from all over the world makes an appearance here. Like the Babbo for Italian food, the Balthazar for French and seafood, Sripraphai for Thai, so and so forth. if you want to feel the unique NYC deli experience, then head out to Katz Deli. NYC is home to several fine designer stores. Most of them are centred on prime the shopping districts of Madison Avenue, East Village, Fifth Avenue, 57th Street, and the Times Square.